Very helpful customer service team. 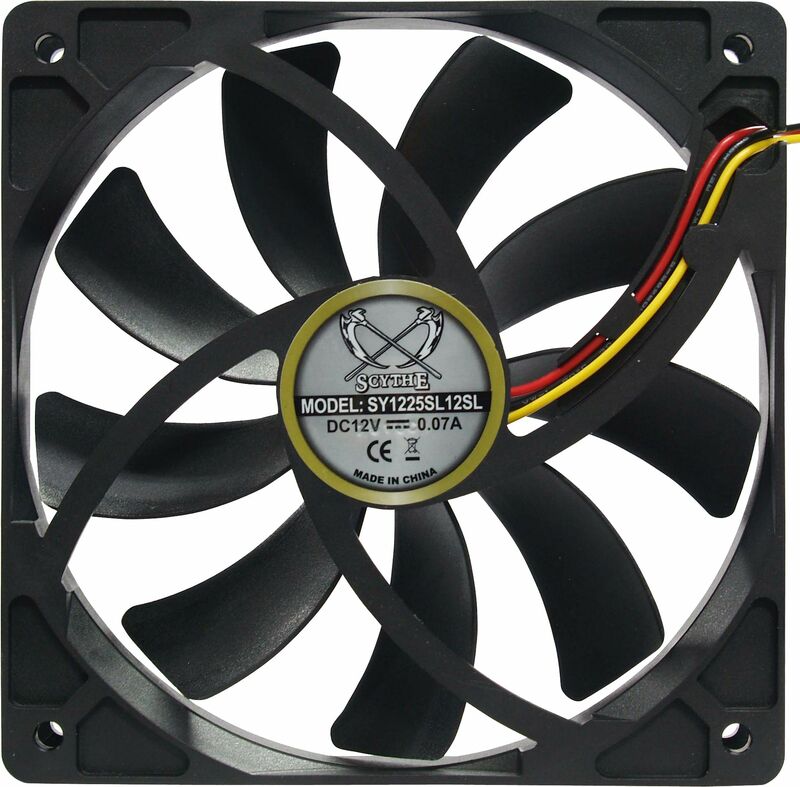 The Scythe Slip Stream 120mm fan - designed to increase performance without compromising noise levels. Scythe have released some new 120mm case fans, the "Slipstream 120mm Case Fan". Their main aim with the new fans was to increase performance without compromising noise levels. The Slipstream 120mm Case Fans have been developed solely by Scythe engineers. They found out that by reducing the dimension of the centre hub and the wider surface area of the fan blade increased the airflow. There are a range of different fan speeds to choose from which meets the demand from a wide variety of users in the market. Silent users to power users now have more choice when it comes to choosing a suitable case fan. I am very happy with these fans. I have two installed in my HTPC and I can't hear them. Obviously the air flow at 500rpm is little more than a draft but it seems to be enough in my system. Highly recommended if silence is your priority, but would suggest something more powerful for more extreme systems. Now I have a new problem! Is the dang thing running??? Finally found a dead silent fan at a very reasonable price. No need to isolate with rubber either. The airflow from this fan isn't exactly a hurricane, but then at 500 rpm you wouldn't expect it to be. It really is effectively silent; you have to put your ear right up against the grill to know it's even turning. One warning though: if used with a Fanmate, it doesn't reliably start-up on the minimum voltage setting. I have two of these as intakes on the front of my Antec 300 case. They are, as far as I can tell, completely silent. 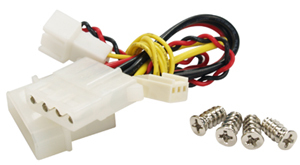 I haven't undervolted them, but I have connected both of them to 1 4-pin molex via a 2-way 3-pin splitter. I will be buying a few more of these to replace the noisy supplied case fans. I've got two of these fans inside my Antec Fusion HTPC, replacing the noisy stock Antec triflow fans. You cannot hear these, making the PC almost silent. I had a mate around the other day who simply didn't believe the PC was even on. And temp wise they're good. My HTPC is frequently around 40 degrees which is perfectly acceptable - even under load when playing lots of videos.